Many members will have enjoyed the guide to the notable trees of Holland Park we wrote in 2007, and might even still have their copies. It is now out of print and, because of continuing demand, we decided to re-issue it. We found that a shocking 20% of the trees described have been lost, so we have re-written it to include new specimens, both newly planted trees and others which deserve attention. 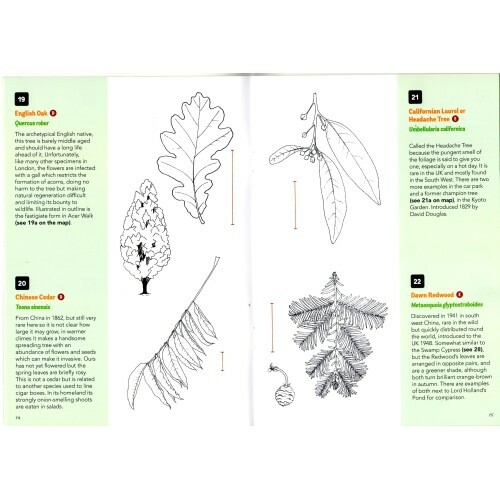 The new book features 65 trees as compared with 50 in the old one. The overall format has been retained, and the same artist, Nina Barranca, has drawn leaves to illustrate the new inclusions. It has 40 x A5 pages and is easy to carry. The trees are arranged in walk order, but the walk can be joined at any point and indeed may take several occasions to complete depending on how long each tree is studied. 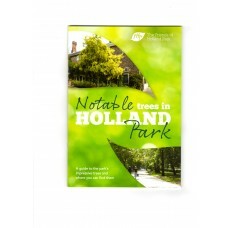 The booklet contains a map of the park showing each tree's location.